Enjoy color combos, a new spa and some cardo. This week, it’s all about being bold and trying new things. 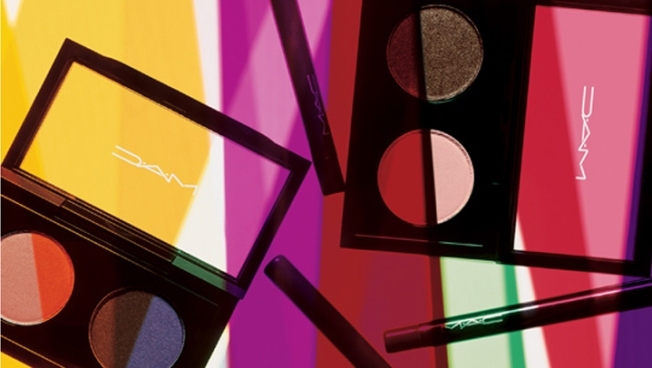 Up first, unexpected color combos from M.A.C. Next, give the new Elle Spa a go. And finally, find some time for cardio at Green Monkey’s run club. BEAUTY: When it comes to fall makeup, M.A.C. is ditching the matchy-matchy trend for something a little more mismatched. The new Colourizations line takes colors you wouldn’t normally pair together and gives them a harmonious marriage. The new eye palettes, called Double Features ($25), range in colors like Feature 1 with bright yellow gold and a pinked-up chrome purple or Feature 2 with bright lime and deep grey, even Feature 8’s orange and navy. Trust us, these unlikely duos are a match made in heaven. Top off with Technakohl Liner ($15) in equally interesting shades, and you’ve got some serious eye candy. GET IT:Look for the line to launch July 29 at 107 Lincoln Road, Miami Beach; 305.538.1088. SPA: There’s a new spa in town, and it’s the first of its kind, too. Elle Spa (yes, like the magazine) at the Eden Roc is the brand’s first and only venture and the prefect place to spruce up your feet for summer sandals with a mani/pedi. It will also tame your mane for a night out on the town. Be sure to squeeze in a massage after a workout in the oceanfront fitness center. Or give the whirlpool, sauna and cold plunge a go for some down time. GET IT: 4525 Collins Ave., Miami Beach; 305.674.5585. GYM: Like to run? Want to do it with a group? Look into Green Monkey’s Run Club. The club gets together at the Miami Beach tree house on Tuesday nights from 7 to 7:45 p.m. for a three mile jaunt around different parts of Miami Beach. The club is free, but donations are welcomed. After class, stretch out those calves and hammies with a gratis post-run yoga class from 8 until 8:30 p.m. Water is provide for all you cardio-lovin’ monkeys. On your mark, get set, go. GET IT:1827 Purdy Ave., 305.397.8566.